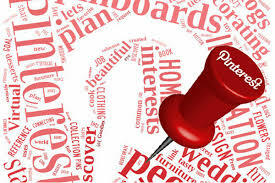 The one tip you absolutely need for Pinterest marketing. Last month, 14% of our website visitors AND new contacts came from Pinterest. Pretty good, right? Well, for one of our clients, 48 percent of his traffic 57% of new contacts came from Pinterest. Insane! How do we do it, you ask? Well, it has a little to do with the industry. This particular client is a pharmacist and nutritional counselor, so it’s not too hard to find a topic that will really do well on Pinterest. Every month, we create a new piece of downloadable content for his website. Often, our ideas are inspired by what we see on Pinterest. For instance, if we see that a pin on featuring smoothie recipes is really popular on Pinterest, we might create a collection of ten smoothie recipes.Because of the focus of our client, we’ll make them healthy smoothies. They have to taste great AND be good for you. Tricky, but not impossible (we know because we did this). Also, one of them is now what I eat for lunch. Every. Single. Day. I digress. Now that we have our offer, our landing page, our emails, blog post, and follow-up workflow (all done easily in HubSpot), we have to get the word out. It is worth noting here, that your landing pages have to be good for this to work. But, of course yours are! For this client, the best channel is clearly Pinterest – though we do use others, too. We could just use the blog post image (which, by the way, is sized and designed for best impact on Pinterest). BUT, we find that having many different pins yields much better results. It’s easy to see how this could work for our “Smoothie Recipes” ebook. A gorgeous photo of each one (you can usually find something on BigStock, but sometimes we have to make our own) with some text overlay and a great description gives you ten pinnable images. Add in the blog post image for 11. Create a few more, changing up colors, fonts, and text and you could easily have 20 or more for this one offer. That’s it! You didn’t expect actual magic, did you? Just like all good inbound marketing, it takes time, but not a lot of money. This example of the smoothie recipes is almost too easy. I know. But that doesn’t mean your landscaping company has no choice but to create ebooks about smoothies! Let’s say you created an ebook on starting a vegetable garden. The planning process may be broken down into a few steps. Then there is preparation, a trip to the nursery or hardware store, etc. Each of those steps could use its own pinnable image. You could either create one template and change out the text. Or, you could use colorful images of vegetables and gardens with some text outlining a specific tip or step in the process. And that, my friends, is my #1 tip for how to get massive numbers of leads from Pinterest.